Yay! Looks like it may finally be sunny and warm enough to melt some more of this. I have some work to do to re-make a dog pen cover. I had made what I thought was a wonderful cover made of PVC pipe. It held up through various thunderstorms but the weight of the icy IcePocalypse last week did it in. The whole thing is a frozen mess so I'm not even sure if any of the pvc pipe broke. Basically, though, I'd like to do a wooden frame that would be attached to the side of the house and some plastic roofing sheets screwed in to the frame that would allow rain to roll down.Meanwhile the dogs have been sleeping in the house or inside the breezeway. The good news is that I can get back to my plans on some other projects I'd like to get done before January 1st, just adding a better dog pen cover to the list. What's going to happen to all that contaminated Fukushima dirt? Mormon Church finally admits it was racist. War on Happy Holidays or Why wouldn't everyone seek to be inclusive this time of year? Remember how we saw that Satanists want to put up a monument at the Oklahoma State Capitol (in fact, they say that want to put up an interactive display? Now a Hindu group wants to put one up. 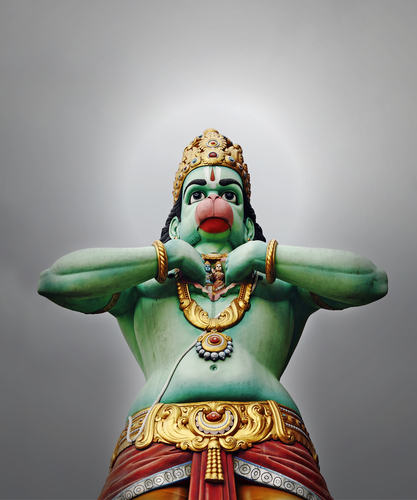 Hindu statesman Rajan Zed, who is President of Universal Society of Hinduism, in a statement in Nevada (USA) today, said that if the Oklahoma State Capitol was open to different monuments, we would love to have a statue of Lord Hanuman, who was greatly revered and worshipped and known for incredible strength and was perfect grammarian. Zed pointed out that besides honoring the Hindus living in Oklahoma, this statue would raise awareness of Oklahomans about Hinduism, oldest and third largest religion of the world with about one billion adherents and a rich philosophical thought. Rajan Zed stated that he had written to Oklahoma State Capitol Preservation Commission Chair Trait Thompson and others for detailed procedure, required forms, conditions to be met for approval, size and dimensions of the statue, etc., for permission to erect the Lord Hanuman statue, which they planned to make big and weather-proof. What's Canada doing about mail delivery? Here's a photo of Rick *ooops* Perry with Santa that will give you a laugh. As full of insight and beauty as the Bible is, it’s not a universally and unconditionally embraced document, and it’s certainly not a secular one. Yet it’s under the hand of almost every American president who takes the oath of office. ....The centrality of religion in this country’s birth and story can’t be denied. And shouldn’t be. And having the Bible at inaugurations honors tradition more than it offends pluralism. But using the Bible as a litmus test for character betrays the principles of religious liberty and personal freedom, along with the embrace of diversity, that are equally crucial to America’s identity and strength.